FORD FIESTA 2011. The design and features included make this hatchback perfect for young people. 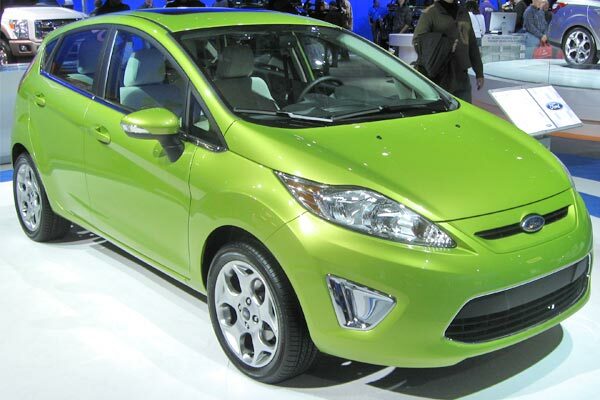 Today, size and price are no longer the most important in the subcompact segment. The quality management and used materials have become a strong selling point for manufacturers, so that we can find small cars and of great quality with excellent equipment like the Ford Fiesta. The power plant used to this new Fiesta generation is an in-line four-cylinder Duratec 1.6-liter with variable valve timing and 120 horsepower. All this means in a supply of power from the bottom of the tachometer which is more than enough to move with joy the 2600 pounds of the car. The engine is quite flexible and the car performs excellently as a vehicle for city dwellers. The steering has electric assist but delivers the same feeling of a traditional hydraulic steering. One of the advantages is that it can compensate the side winds push as well as remove the steering wheel movement caused by poor balancing of the tires. Certainly the best of the steering is the wheel. The size is good and the grip is excellent, you feel that you are in control all the time thanks to its ergonomic and sporty design. The space inside the Ford Fiesta is quite generous and the rear seats are comfortable for two adults. On the front there are seats with very good lateral support and backrests quite comfortable. It is very easy to find an optimal driving position thanks to the many directions that can be the seat accommodated and the steering column that has adjustable height and depth. The final position puts you close to the floor of the car and makes you feel more in a sporty compact hatchback than a subcompact. The interior design is as innovative as the outside, following the same line that the outside by using curved and elongated shapes. The big clocks are easy to read and the sound system is intuitive and easy to use. This system is one of the products most advanced that has Ford and also you can control many things with voice commands, from telephone to radio station or even a specific song you have stored in the hard drive, all can be activated with just ask... literally. The good driving position and the engine are combined with the suspension to give a sensation of agile handling, thanks to its size and accuracy of the steering, the Fiesta is a dynamic and fun car. The tuning of the suspension achieves an excellent balance between sporty and comfortable, so that it can easily attack both the battered streets of the city as sharp curves on mountain roads. The combination of innovative design, first class equipment, high quality finishing and assembly, along with a very capable power plant and a very pleasant driving experience make the new Fiesta a great option. The Ford Fiesta has received the highest crash test ratings in each of the largest auto markets in the world that carry out safety tests in USA, China and Europe. The Ford Fiesta 2011, is the only car in its segment to get the title "Top Safety Pick" of the Institute for Highway Safety (IIHS) in the United States. Heads the list of most desirable compact cars due to the inclusion of the Sync system and knee airbags for driver. It works like an hybrid car making up to 30 miles per gallon in the city and 40 on highways.